You are here: Home ∼ Chinese Breeze ∼ Chinese Breeze Level 1 ∼ Level 1: Can I Dance With You? 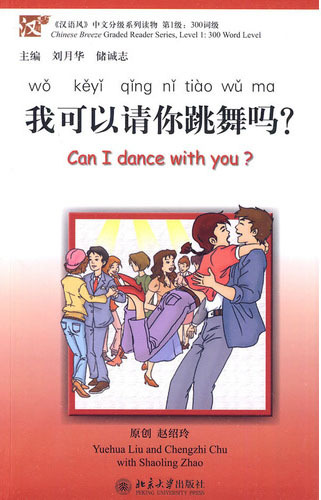 Can I Dance With You? is in the first level of Chinese Breeze which contains approximately 300 words. Description of the book: A smart young man suddenly gets into big trouble. He just fell in love with a pretty girl, but now the police come and want to arrest him. The bank he works for just lost ten million dollars, and the police list him as a suspect. Of course he is not the robber! He even knows who did it. But can he find evidence to prove it to the police? It’s all just too much. Also, will he be able to see his girlfriend again?